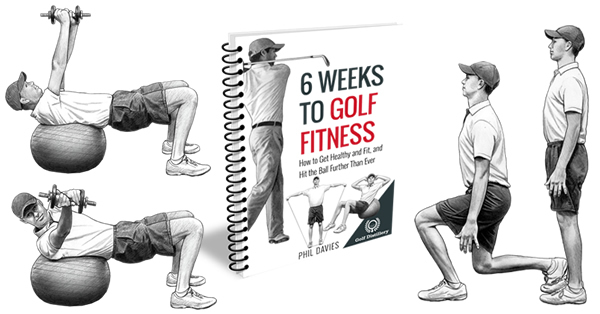 A golfer with a reverse pivot swing will move his body weight during his golf swing in the opposite way that he is supposed to. 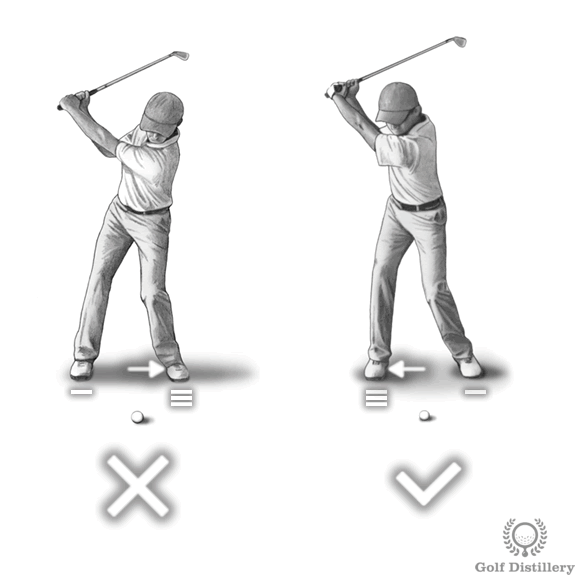 Indeed, during the backswing he will move his weight towards the front foot while during the downswing he will move his body weight towards his back foot. 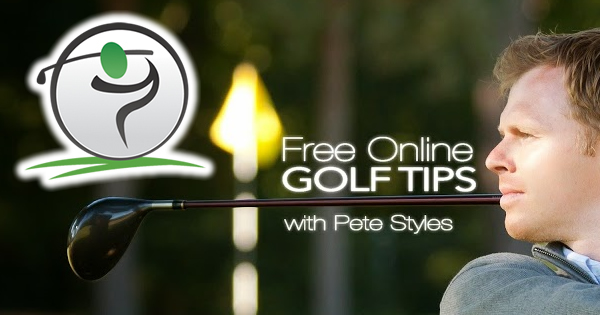 This is directly opposite the correct weight distribution direction that is found in an ideal golf swing. At address the body weight should be split evenly between the two feet. 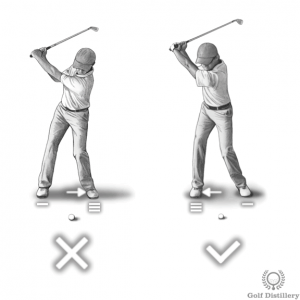 During the backswing weight should be moved towards the back foot until the top of the swing is reached. From that point on, weight distribution should transition towards the front foot during the downswing until most of the weight rests on top of the front foot at the follow through. 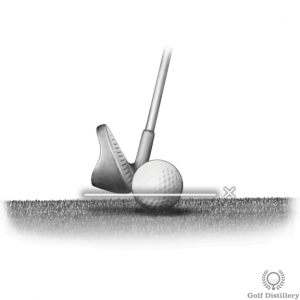 The golf ball can only fly towards the target with its full shot height and vigor if the golfer is able to successfully transfer the force accumulated during the golf swing into the ball at impact. But for that to happen, sufficient force needs to be created in the first place. And that can only happen when weight moves towards the front foot at impact after coming in from the back foot. Seeing the weight of the golfer resting on his back foot at impact will also see the bottom of the swing arc well behind the ball. This translates into a far from ideal impact position where thin shots are likely to occur. 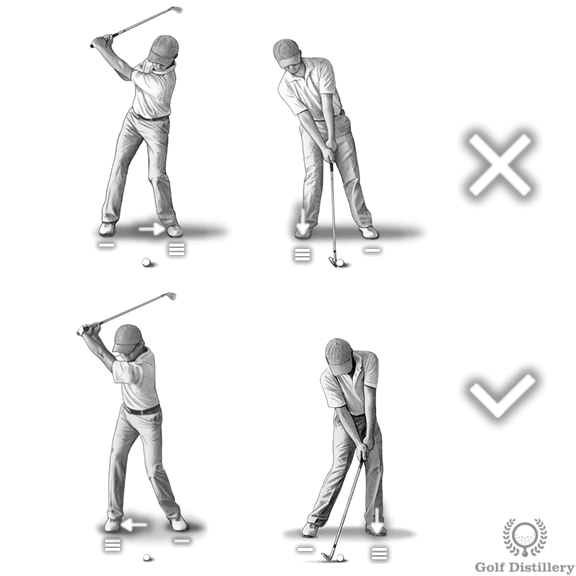 Fixing a reverse pivot starts at the takeaway and the backswing. Indeed, by focusing on bringing your body weight towards the back foot during these early stages of the swing you are protecting yourself from a reverse pivot before it can start. 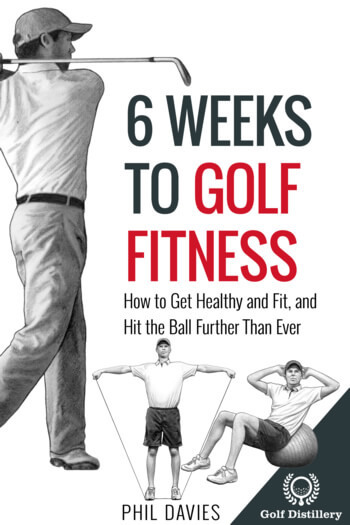 When the weight has successfully been brought back, then it’s simply a matter of bringing it forward as you proceed with your downswing towards impact with the ball.